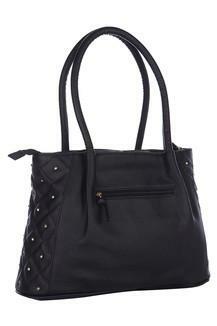 Style and utility are combined together in this tote handbag from Peperone. 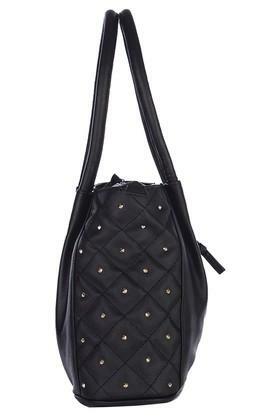 It comes with short straps that make it easy to carry, while the quilted detailing on the sides enhances its appeal. 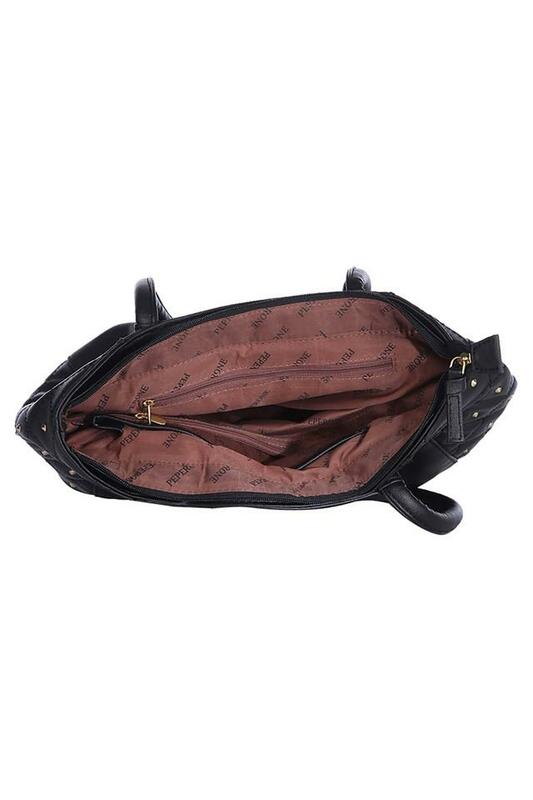 Moreover, it features one main compartment with a slip zip separator and an inner slip zip pocket that will provide enough space to store your belongings. 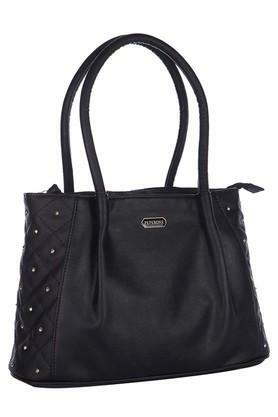 Pep up your fashion quotient by carrying this tote handbag for any casual outing. 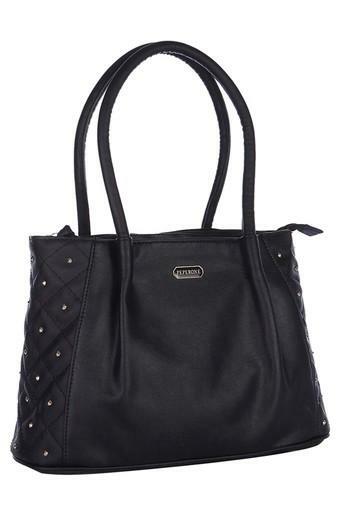 Designed to perfection, it will look good with a printed top and a pair of slim fit jeans.